American Legion Post 63 and the ladies of Auxiliary Unit 63 provide on-going support for the youth of our community through the programs described below. Our American Legion Post 63 has been a strong supporter of American Legion Baseball since 1925 when the American Legion national baseball program began. During these past seven decades, millions of young players have enjoyed playing baseball. The American Legion and their nearly 3 million members have raised millions of dollars each year for players to learn the importance of teamwork, discipline, leadership and good sportsmanship. The American Legion sponsors American Legion Baseball to give players an opportunity to develop their skills, personal fitness, leadership qualities, individual character, and to have fun. Founded in 1925 in Milbank, SD, American Legion Baseball is the oldest and largest nationwide high school-age baseball program in the U.S. Since its founding, eight million-plus teenagers have participated. 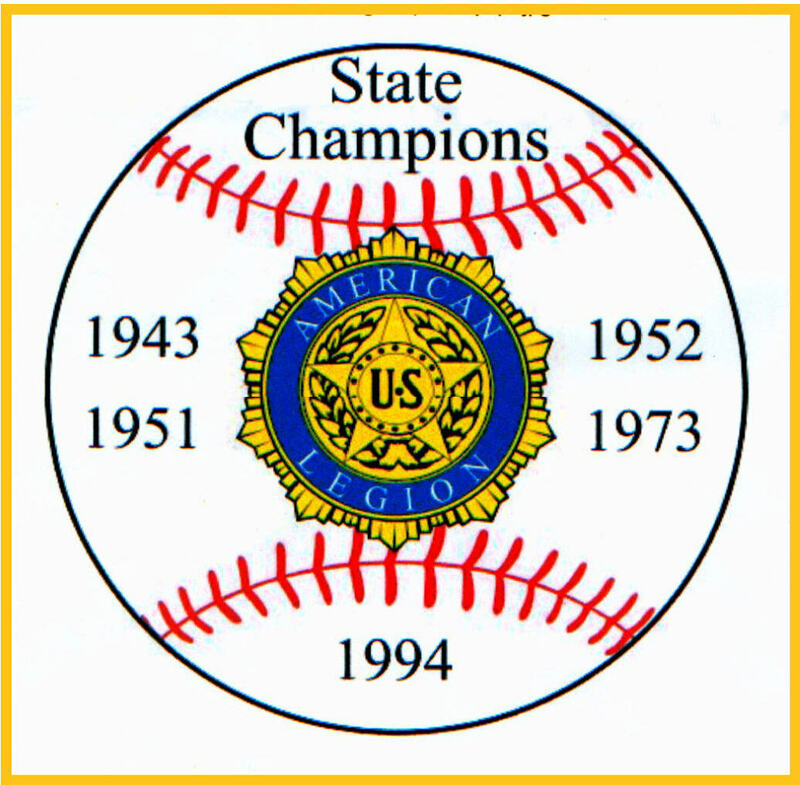 The first American Legion national championship was in 1926. In 1996, 1,791 teams and 94,000 players, age 15 to 18, were registered to play. In addition, American Legion supports and sponsors some 2,500 AABC, AAU, Babe Ruth, Dixie Youth, Dizzy Dean, Khoury League, Little League, NABF, Police Athletic League, and PONY teams. Junior American Legion teams of 15 and 16 year old players are organized in 15 plus Midwest states, including Illinois, Kansas, Minnesota, Missouri, and Oklahoma. League play leads to a post-season invitational tournament among state champions, but not to a world series. Team budgets average $10,000 for league play. Those that win state tournaments average $20,000. A total of more than $17 million is spent annually by Legion Posts to sponsor Legion teams. It is estimated that some 65 percent of all Major League players have played American Legion ball as teenagers and almost 75 percent of all college players participated in Legion ball. Approximately $20,000 in scholarships and awards are presented each year to players for on-field performance, leadership, sportsmanship, high moral character, and scholastic achievement. The Junior Shooting Program is a three part program sponored by our American Legion Post 63. The program teaches gun safety, educational, and marksmanship that provides the basic elements of: safety, education, enjoyment, and competition. The program combines the Basic Marksmanship Course, Qualification Awards, and Air Rifle Competiton for young people of both genders through age 18. During the past decade of this program's continued fast growth, thousands of male and female junior shooters have participated, with a perfect safety record of no reported gun-related injuries. Today, shooting sports is an important recreational activity in America. Nearly 70 million people own firearms. Tens of thousands of competitors participate in matches from neighborhood tournaments up to the Olimpic Games. More than 20 million hunting licenses are issued annually in the Unitied States. Marksmanship is a proud part of our national heritage dating all the way back to the Revolutionary War. Our post has certified and trained instructors available. Training sessions are conducted at 7:00 pm the first and third Tuesdays of each month at our Post 63 facility in Cape Girardeau, Missouri. As Post 63 Legionaires, we believe that one of the best ways to serve our community is to take an active interest in the preparation of our youth so they will become patriotic, freedom-preserving citizens. It is for this reason that the American Legion School Awards Plan was born. The American Legion School Award Medal Plan is a project of the National Americanism Commission, and functions though American Legion State Departments, Districts, and Posts. The American Legion School Award Program has been in effect for many years. Awards are made annually at the end of the school year to the boy and to the girl of the graduating class in elementary, junior, and senior high schools and colleges. COURAGE - Bravery in the face of opposition and danger; determination and force to do right without public applause and regardless of personal advantage. A quality of the intellect. HONOR - Highly-developed moral character; moral excellence; strength and stability of character; high standards of conduct; devotion to duty; adherence to truth; keen sense of what is right; practice of clean speech and thoughts. LEADERSHIP - Ability to lead and to accomplish through group action; ability to work in harmony and in unison with other leaders in accomplishing group results; desire and ability to fill the voids in the lives of others caused by timidity, illness and other handicaps. PATRIOTISM - An ideal of loyal Americanism, religious tolerance, righteous freedom and the willingness to defend our Flag against all enemies, foreign and domestic. Perhaps best defined in the Americans Creed. SCHOLARSHIP - Attainments in school studies; quality of school work reflecting the fine traits of industry; perserverence; efficiency and intelligence. SERVICE - Kindliness; unselfishness; fellowship; protection of the weak; promotion of the interests and the welfare of associates; and, constructive aid for the upbuilding of schools and of community. We invite students and educators to contact us for more information about the awards program. American Legion Boys State is among the most respected and selective educational programs of government instruction for high school students. It is a participatory program where each delegate becomes a part of the operation of his local, county and state government. High school juniors are selected by our American Legion Post 63 to attend the program. In most cases, expenses associated with attending this program are paid by our post, or bya local businesses or other community-based organizations. The American Legion Boys State of Missouri is an intensive eight day hands on experience in the operation and fundamentals of government. Missouri Boys State draws together the best and brightest high school juniors to help lead them down the path of individual success and leadership through "doing," not just learning. One idea paramount above any other at Missouri Boys State: That the individual is the one with the power to change the world. Whether athlete or politician, journalist or scientist, each and every one of us has the power to make a difference in the world. Using our democratic system as a basis, we equip the participants to construct their own state, utilizing the core values that hold true in our everyday lives. We teach the need for competition, the value of public office, the strength of the individual voice and vote. By reinforcing these basic American ideals, we help to shape the future of our society. This is what the American Legion Boys State of Missouri program is all about. The National High School Oratorical Contest, sponsored since 1938 by The American Legion, is designed to instill a greater knowledge and appreciation of the Constitution of the United States in high school students. Other objectives include the development of leadership, the ability to think and speak clearly, and the preparation for acceptance of the duties, responsibilities, rights and privileges of American citizenship. Each contestant gives a prepared oration on some phase of the United States Constitution, giving emphasis to the duties and obligations of a citizen to his or her government. College and money are two words that go hand in hand. Today it takes a lot of money to pay for a college education. The American Legion National High School Oratorical Contest is a way for high school students to actually talk their way to college. Each year The American Legion National High School Oratorical Contest awards over $138,000 in college scholarships. To date, over $3 million in scholarships have been awarded at the National level by The American Legion to contestants in the National High School Oratorical Contest. The program assists students in paying the high cost of a college education. The first place winner takes home $18,000 and the next two finishers receive $16,000 and $14,000. First round participants in the National Contest receive a $1,500 scholarship. Second round participants who do not advance to the final round will receive an additional $1,500 scholarship. The American Legion will pay the expenses of State winners at the National Contest. The American Legions National High School Oratorical Contest provides a postitive stepping stone opportunity to higher education. For over 60 years the American Legion Auxiliary Girls State Program has provided High School Juniors nationwide the opportunity to participate in a hands-on citizenship training program. Girls State citizens gain a better understanding of our American traditions and a greater appreciation of our country and our flag as well as learn our government processes through simulated real life involvement in all levels of government. Girls State participants engage in their communities when they return home and begin a life long commitment to be active in all levels of our government. To produce Girls State Citizens with this commitment of participation, auxiliary units make wise selections of delegates, provide them with informative orientations before the session begins, and then give them recognition when they return home. More information about Girls State can be found by clicking on our website Auxiliary link. Supporting Boy Scout activities is natural for Legionnaires, who bring their service-learned skills and experiences as veterans to bear to help build character and positive traits in Young America. Few other Post activities generate more goodwill from the community. The Greater St. Louis Area Council, Boy Scouts of America is responsible for providing educational programs in our area that build character, teach participatory citizenship, and develop personal fitness. The Greater St. Louis Area Councils geographic area includes 27 counties in Eastern Missouri and 10 in Southern Illinois. Approximately 90,000 young people participate in Council Scouting programs on an annual basis. Approximately 1,700 units - Cub packs, Boy Scout troops, and Venturing crews, are licensed or chartered to community organizations, such as schools, churches, and American Legion posts. Cub Scouts (boys ages 6 to 10), Boy Scouts (boys ages 11 to 18) and Venturers (boys and girls ages 14 through 20) participate in action-oriented programs that fulfill the aims of Scouting. Exploring (boys and girls ages 14 through 21) focuses on career choices, such as law enforcement, firefighting, medicine, or other areas. The Councils four camps offer Scouts more than 8,000 acres of wilderness for a wide variety of outdoor programs including camping, hiking, swimming, boating, rappelling, rock climbing, ropes courses, and horseback riding. Since the National Defense was signed in 1916, the United States Army has opened up more than 1,400 JROTC classes in the United States. The program was first to help at-risk students, but now it has developed into a program that teaches leadership, citizenship, and teaches the decision making process. It is both mentally and physically demanding. It challenges the students to become better leaders and pushes them to become active members of their community. During the classroom instruction the students are taught basic leadership. They are taught to apply the leadership skills that will help them make the right decisions, in a classroom environment, and in out of school environment. The students are also taught citizenship skills. These are skills that will help them work with other people. First- Aid, Communications and proper Flag etiquette are taught. These are just some of the classes that are covered. JROTC also helps students build self-esteem by teaching them to do more than what they are used to. They do this by physically challenging them by doing Physical Training, and by testing their abilities against other students. JROTC also uses team-building exercises to promote teamwork. JROTC also has extra curricular activities that allow students to compete against other schools. Schools have drill teams, marksmanship teams, raider teams, and orienteering teams. These activities build teamwork, and challenges the students. If good enough some schools compete at a national level.